24 colour pages a minute. BROTHER International has introduced its next generation single-pass colour printer for workgroups - the HL-4200CN. Printing up to 24 pages a minute in both colour and monochrome, this network-ready model comes standard with built-in automatic duplex printing, up to 1200 x 1200dpi print resolution, Adobe PostScript3 emulation, and comprehensive network management tools. The HL-4200CN also includes a built-in automatic duplex feature. Additional key product features include 64MB of standard memory (upgradeable to 320MB+) and up to 600-sheet standard input paper capacity that consists of a 500-sheet lower paper tray, a 100-sheet multi-purpose tray and built in networking. The HL-4200CN also has N-Up, poster and watermark print modes. In addition, the it offers toner save and power save modes. 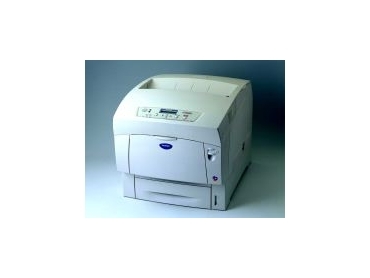 A two line, LCD display with an enhanced control panel facilitates setting up and configuring the printer. The LCD display is incorporated into an intuitive user control panel with convenient features such as one-button job reprint, job cancel, secure print and a scrolling menu. The printer comes with the standard 10/100BaseTX network card and offers a range of networking tools.